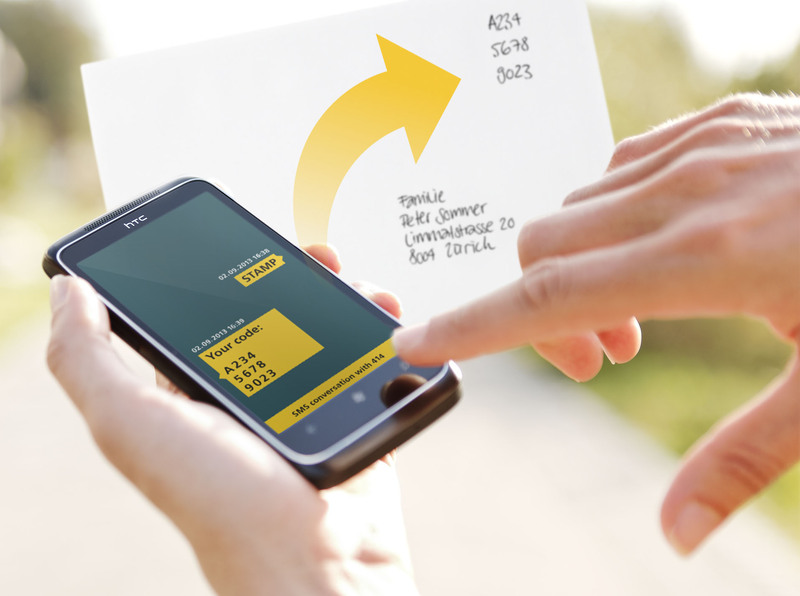 Swiss Post, a trend setter for postal services, has launched a pilot-project to offer Swiss customers the opportunity to receive a ‘Stamp’ via a SMS message. Within seconds of the SMS to #414 with the message ‘stamp’, a franking number is received which should then written on the upper right hand corner of the envelop, the traditional spot for a stamp. The franking code is good for the next ten days (one time use only). The letter must be dropped in a mailbox and then it is delivered first class, next day service within Switzerland. The cost? The customer’s mobile phone bill is charged approximately CHF 1.20 ($1.21). Currently SMS is the only way to obtain a “stamp.” However, an Android and iPhone app is in development. Innovation drives economies, opportunities and ultimately how we advance as a society. Imagine not standing in line for stamps or fiddling with coins at a stamp machine for those rare occasions of sending a letter, postcard or even rarer, mailing a bill. Imagine the potential for this type of exchange and partnership between a postal service and a phone company for shipping packages. As convenient as calling, texting or Facebook messaging maybe, handwritten letters still hold a little magic and still require a ‘stamp’. Swiss Post is transforming the way information is exchanged and how people use and can use technology. Mailing letters and packages are always going to be a part of society. Now, Swiss Post through the SMS ‘stamp’ is offering customers an easier way to use the postal service and stay connected. Tags: #414, Facebook, gadgets, Innovation, mail, packages, shipping, SMS, SMS stamp, stamps, Swiss, Swiss innovation, Swiss Post, Switzerland, technology, texting. Bookmark the permalink.